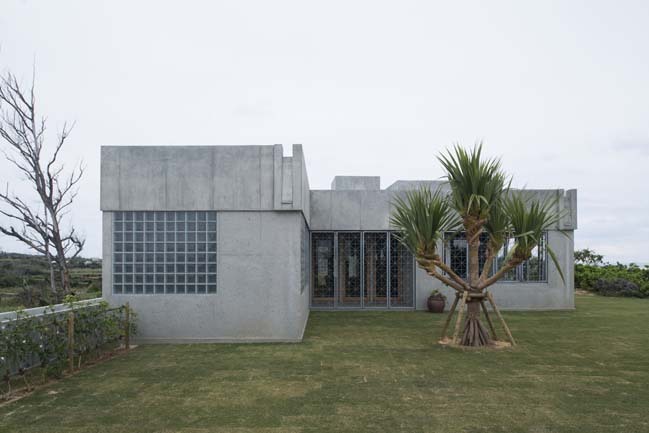 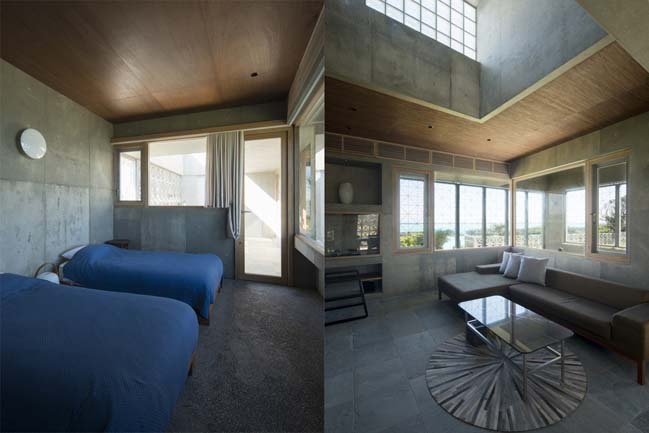 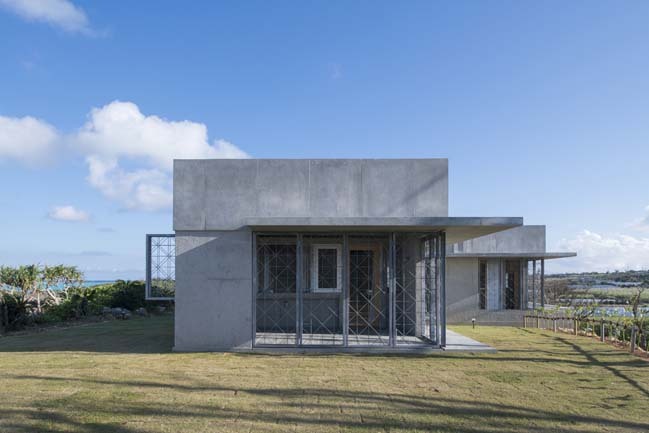 This 1-story villa is a modern concrete house on the shores of Yoron Island in Japan that is surrounded by a beautiful emerald green ocean. 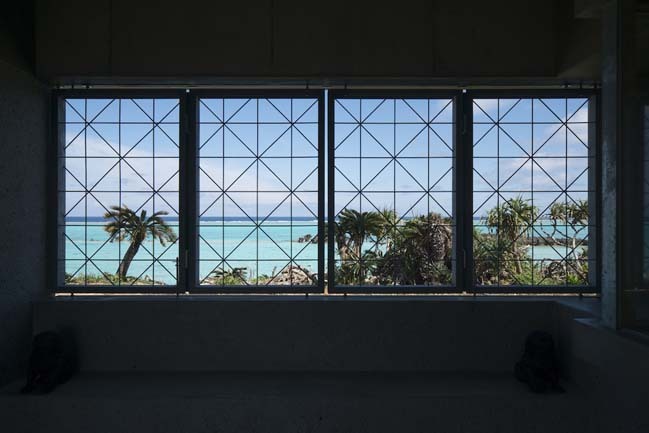 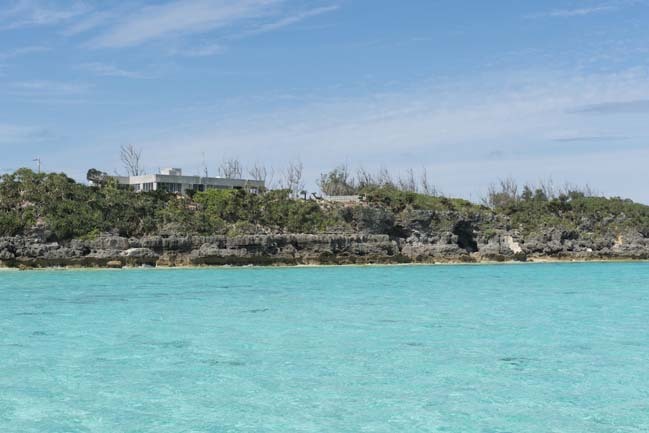 According to the architects: The design was centered on the idea of solving a contradictory task of appropriately intaking the view, sunlight and wind, also to protect the people living from the harsh rays and hurricanes this area is known for. 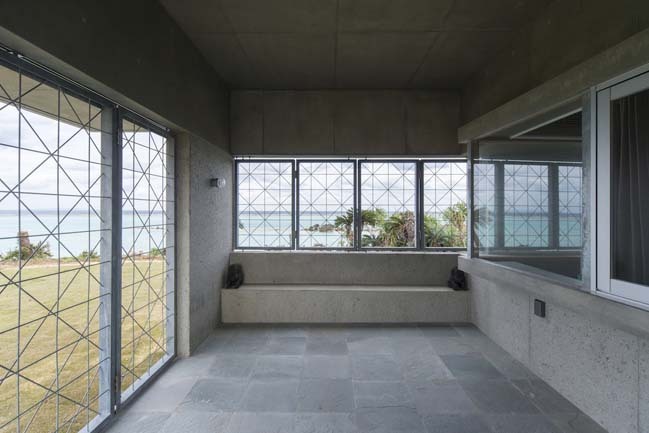 Taking the view in consideration, within the low rise architectural volumes of the project the master bed room was kept on the ocean side to fulfill the given view, and rooms with other functions in face the land side. 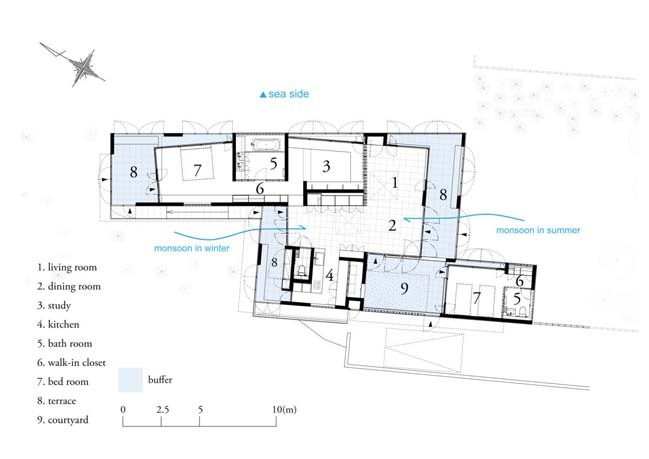 The large un-even space between these two volumes function as the main space, which becomes the path of the seasonal winds.The main living spaces which have pent-roofs function as a comfortable inner terrace. 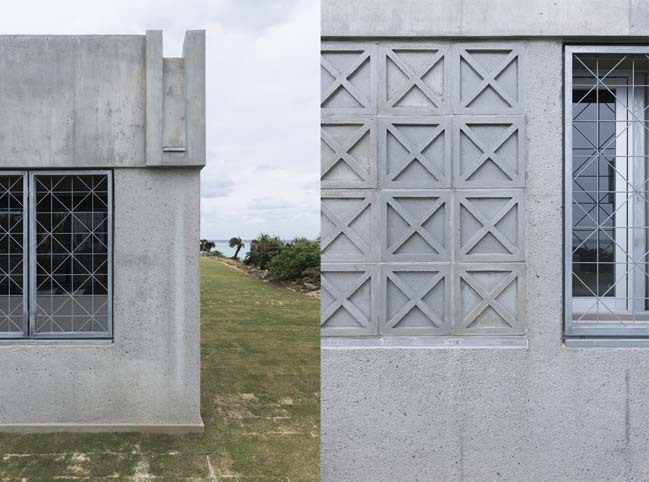 By installing mesh-like fixtures to the outer rims of the pent roof, a buffer zone was created to secure the safety of the interior from objects flying during the hurricanes as well as creating a comfortable opening for the panorama both opened and closed. 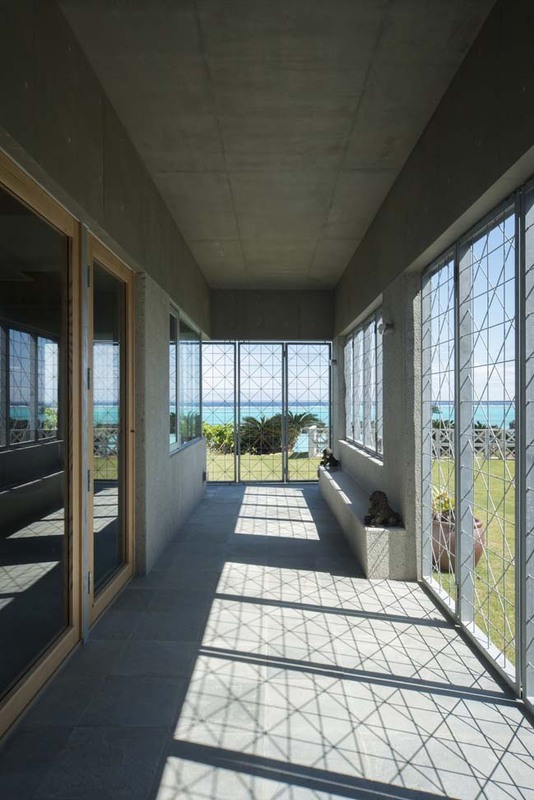 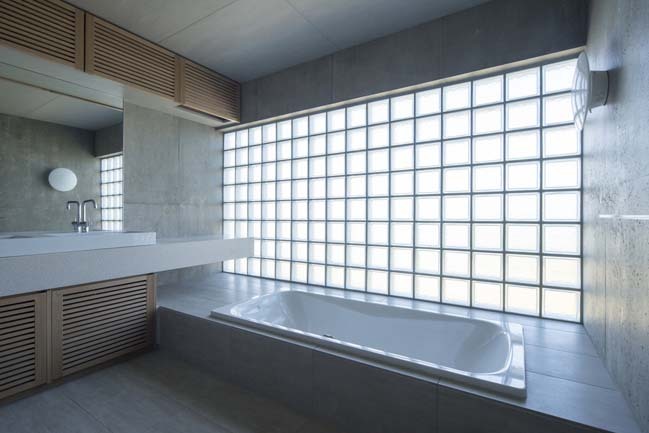 The mesh fixtures were inspired by a traditional Okinawa construction material called the “Flower Block”. 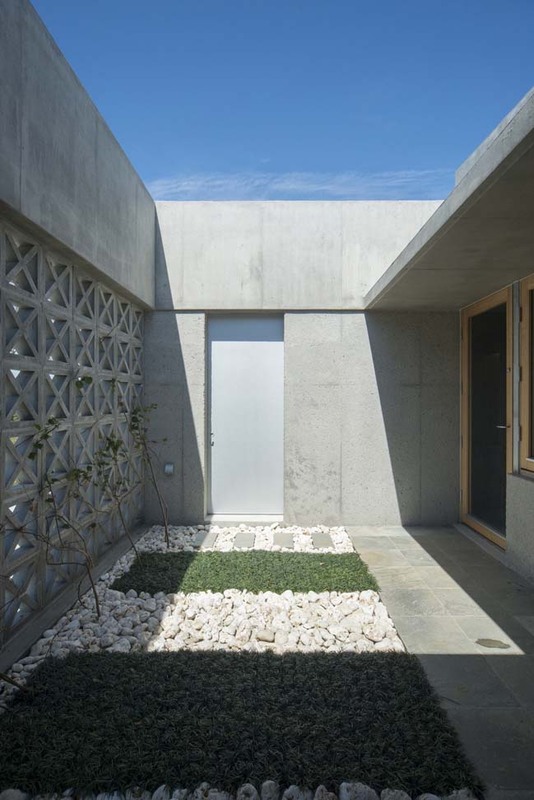 By creating a fixture based on this basic module, a strong exterior image was created. 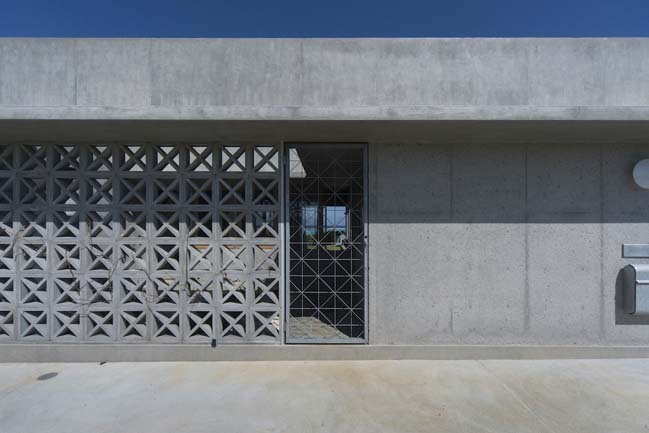 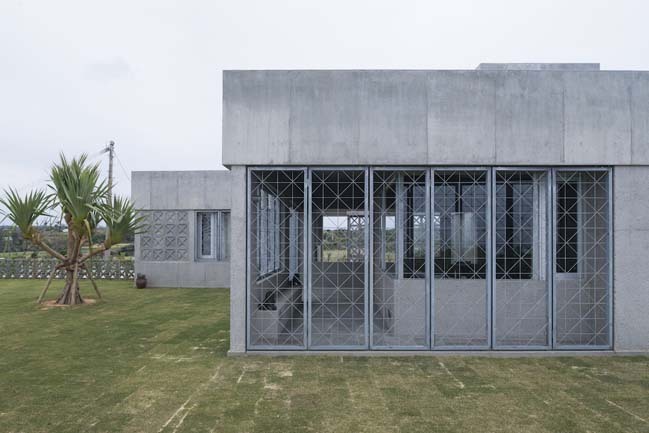 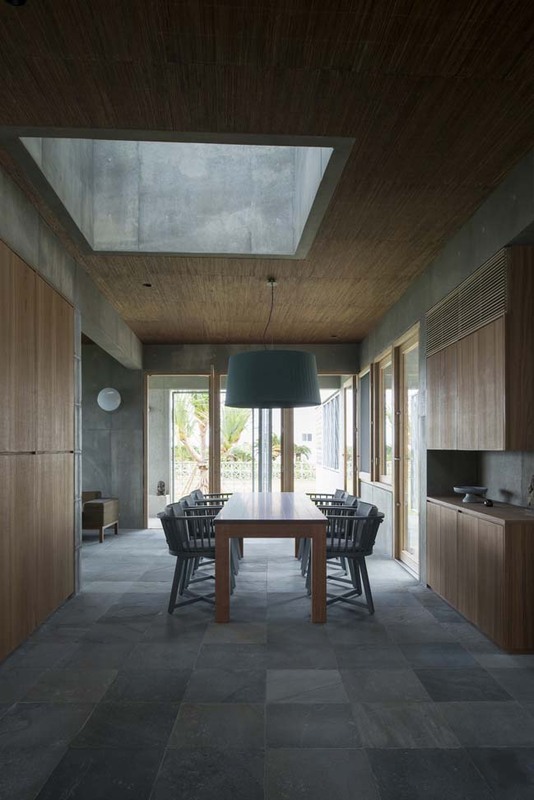 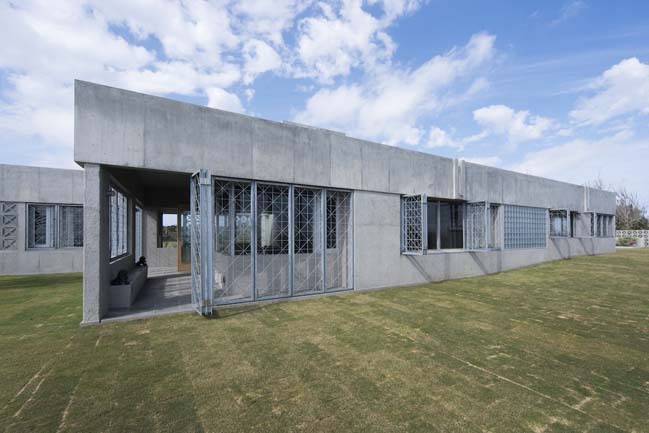 With hammer toned reinforced concrete, and by using natural materials with distinct characteristics in the interior we aimed to create a place that blends into the local climate.